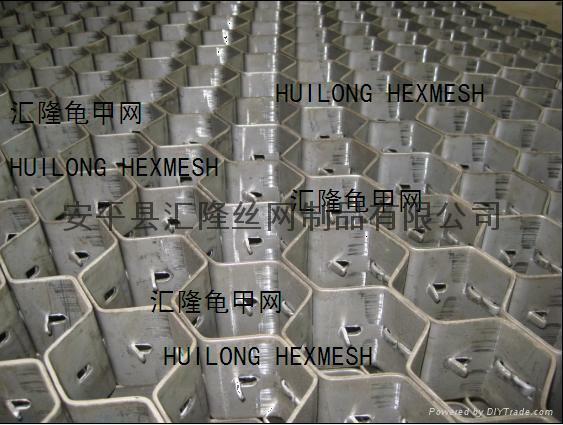 Hexsteel/hexmesh is a an unique honeycombed steel designed to provide excellent retention and reinforcement of thin wall refractories and fully complements dense hydraulic and chemically bonded refractories in resisting erosion. The panels are made of formed steel strips with protruding prongs clamped in such a way to guarantee a high rigidity of the panel also after the rolling. 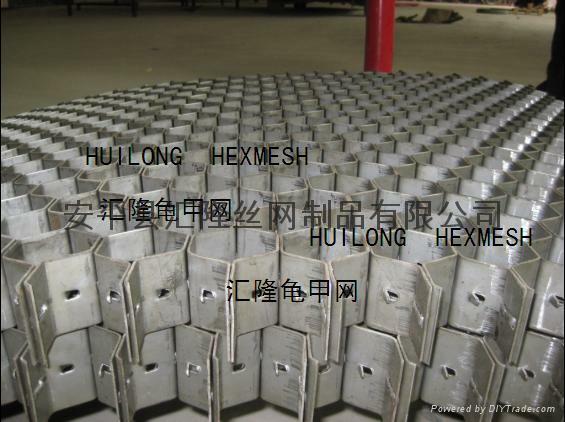 Hexsteel can be supplied either flat or cut to size and rolled; after rolling, they can easily fit inside ducts walls and provide for a perfect continuity of the refractory lining for Ducts, Furnaces, Reactor Vessels, Cyclones, Flue Gas Lines and other high temperature equipment of virtually any shape or configuration, even with very narrow radii of as small as 15cm. Process plant which is subject to the passage of erosive gas streams, especially at high temperature, benefit by cladding with Hexmetal infilled with erosion resistant refractories. Typical applications include Cyclones, Flue Gas Lines, Reactor Vessels, Wind boxes, Fan Casings, Burner Quarls: in fact any vessel or section that is subject to erosion or abrasion. 0Cr18Ni9, 1Cr18Ni9Ti, SS304, SS316, SS310S, A3, 0Cr13, 1Cr13, etc.